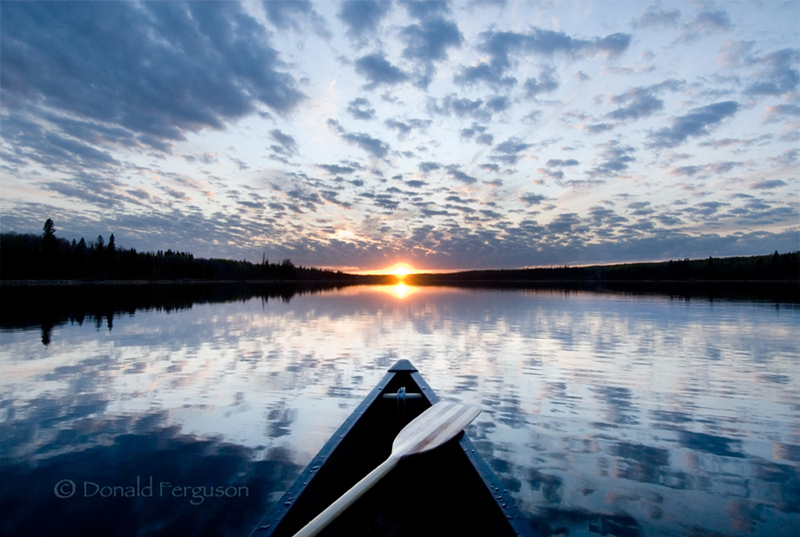 I love canoeing on a perfectly calm lake at any time but doing it at sunrise or sunset, as was the case here, it is magical. Canoeing on glass like this, surrounded by the clouds and blue sky both above and below you, is as close to flying as you can get without wings. On this day it was silent except for my paddle dipping into the water, it was almost a shame to break the beautiful silence with the sound of my shutter as I recorded the scene with my camera, but of course that part didn’t bother me too much.